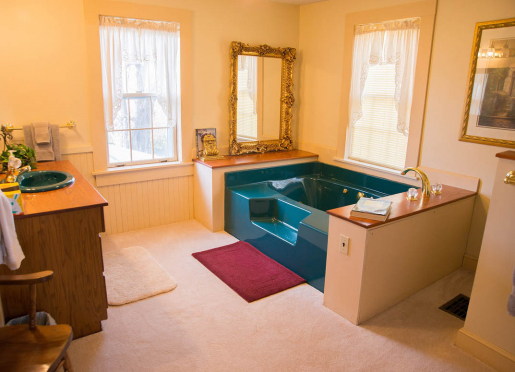 "Our home is your home" for your vacation or weekend away in Ohio's Amish Country! 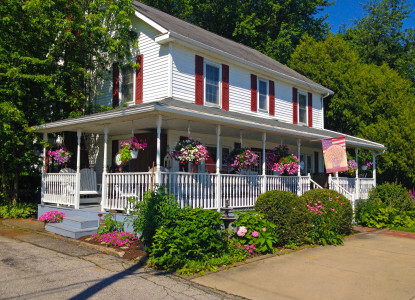 A Day in the Country Bed and Breakfast is located just east of Berlin's downtown restaurants, coffee and frozen yogurt shop, bakery, convenience store and many specialty shops. In fact, we're right across the road from the popular Berlin Village Gift Barn - shop to your heart's content and walk your purchases across the street to your cozy room in our Bed and Breakfast. 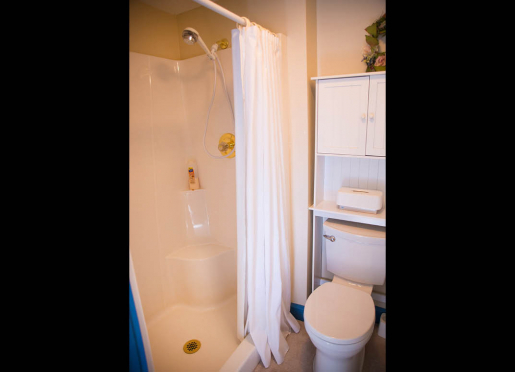 Our facility is a renovated white two-story home with three upstairs units. 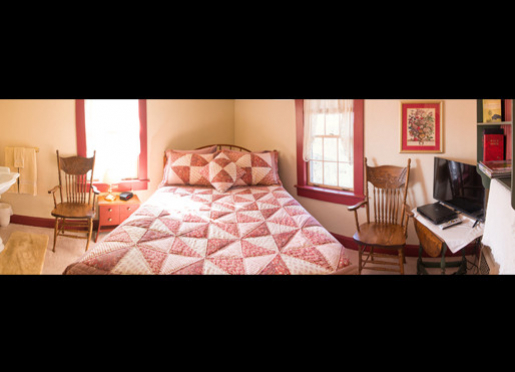 Our spacious White Quilt Suite includes a jacuzzi tub, shower and and electric fireplace. You won't go hungry when you stay with us! Every stay includes a full hot breakfast which includes eggs, toast, ham or sausage and either pancakes or French toast. Every evening, we serve complimentary desserts to our guests. 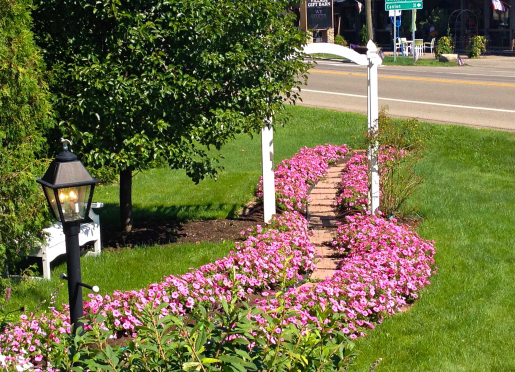 A Day in the Country Bed and Breakfast is located just off State Route 39 in Berlin, Ohio. 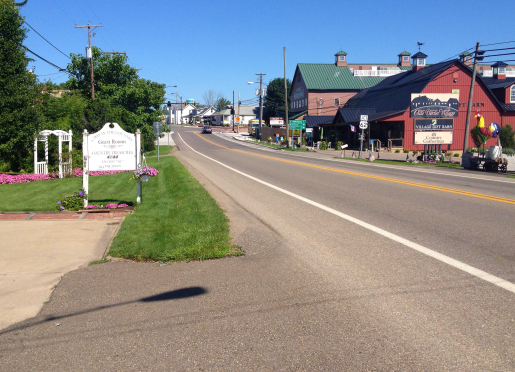 Berlin is known as the Heart of Amish Country with good reason. 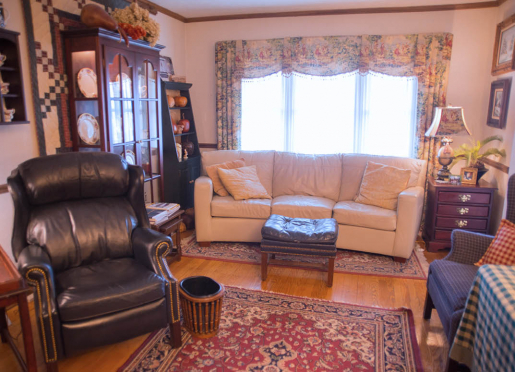 Centrally located in Amish Country, Walnut Creek, Mount Hope, Charm and Millersburg are all close by and can be reached with a short drive. 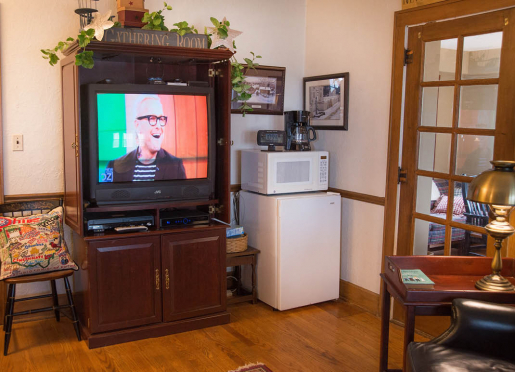 Please call us at **(888) 893-7017** to reserve your room in Berlin, Ohio. Check-in after 2pm. Check out by 11am. People love to stay with us! Read our reviews from Tripadvisor and >Google! Travelers are always looking for memorable and relaxing experiences. Let’s discover more through the words of our innkeepers. Many thanks to Don Merriman for sharing his own secrets with BBOnline.com! 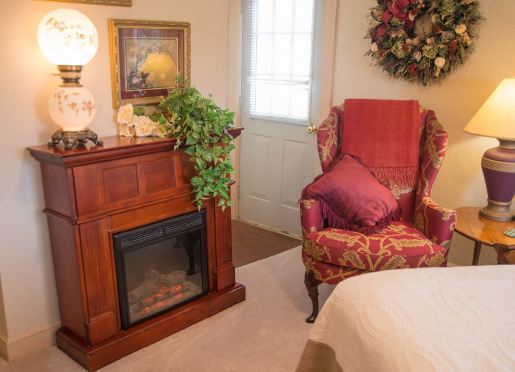 Most travelers stay with us for two reasons - our location and our rates. We're located right in the village of Berlin and parking is at a premium. From our bed and breakfast, our guests can park their cars and walk to nearly all of downtown Berlin's attractions. From our own experience, the length of vacation trips often depend on the cost of accommodations. Stay with us longer! We've decided to keep our rates from $60 to $80 a night depending on the season. 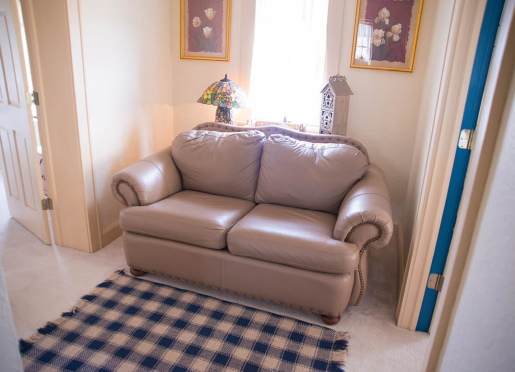 Our facility is beautiful, comfortable and economical. You won't find any surprise fees with us. 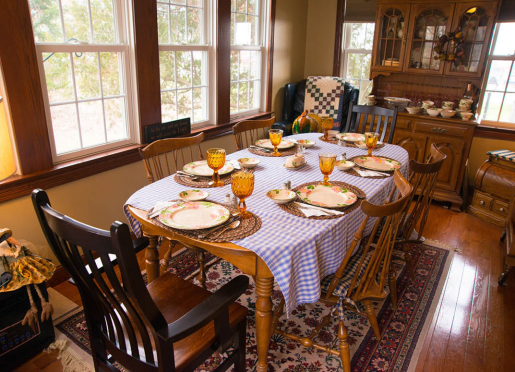 We opened our home to guests long before there were many hotels in Ohio's Amish Country. Our experience has given us a unique outlook on customer service. Personal, friendly attention sets us apart from the cold, echoing halls of the bigger hotels. We have many guests who come back to stay with us year after year. They're not just paying customers to us - they've become friends! Linda and I think the most important reason to visit is to witness a group of people (the Amish) who cherish their heritage and culture. Even if it means doing things the old-fashioned way, it's well worth it to continue the traditions of their ancestors dating back hundreds of years. Our guests say it’s the comfort and warmth they feel as we always try to make everyone feel special. We always try to give them our personal touch and that is something you just don't get at a hotel or motel. There are always questions about the Amish and their rules. Sometimes it appears that there is no consistency and it's confusing to visitors. It's difficult to explain every situation because there are differences in the "Orders" of Amish. Rules differ, not only within the specific group of Amish, but across their church districts. Some Amish allow cell phones, some do not. Some Amish will hire van drivers, others will not. The list goes on. One thing is consistent: the Amish population is growing. Young people are still willing to sacrifice the conveniences of the outside world to continue the traditional lifestyle of their parents. 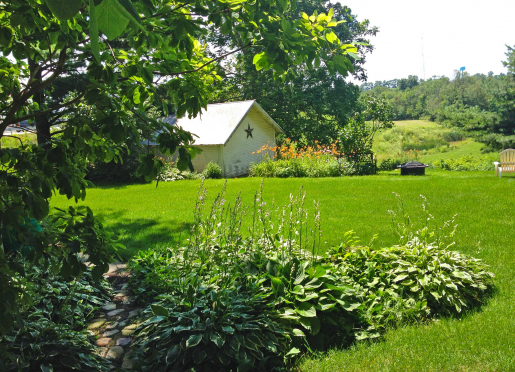 A must-stop is the Amish and Mennonite Heritage Center north of Berlin. 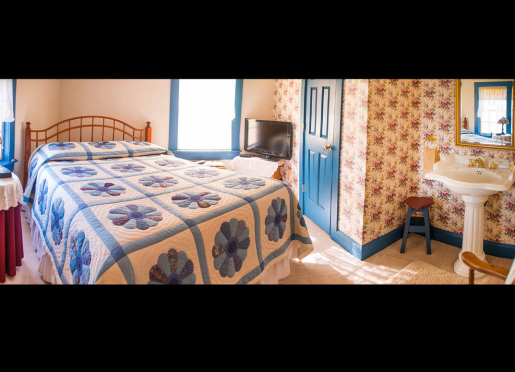 Visitors can schedule either a 2-hour backroads tour or tour Yoder's Amish Home in Walnut Creek. These activities will give you a better understanding of what makes our community tick. Try out any of the Amish/Mennonite Restaurants in the area - Boyd and Wurthman Restaurant is downtown and looks very much like it did 50 years ago. For an all-you-can-eat buffet meal, try out Berlin Farmstead or Der Dutchman (Walnut Creek). 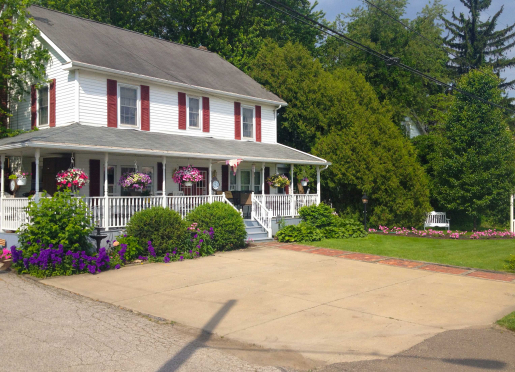 Mrs. Yoder's Kitchen in Mount Hope is another homestyle restaurant that delivers delicious food and great service. You really can't go wrong with any of these restaurants. The famous Lehman's Hardware is a half-hour drive in Kidron, but well-worth the trip. On the way, take your camera and don't be in a hurry. There's plenty to see on the way and lots of old-fashioned wares to shop for once you arrive. For an adventure with animals, The Farm at Walnut Creek offers wagon rides through their animal park. You'll get to feed a variety of breeds, from exotic deer to llamas and even giraffes (yes, you read that right!) Budget a morning or afternoon to see everything at The Farm. The entire downtown Berlin shopping district and restaurants. This depends on what your hungry for. My wife and I go to all the different restaurants and at each one there are menu items we like more at one than another. Some for their chicken, some for their roast beef, some for their salad bar, so as you can see, we enjoy them all and don't worry, you won't get a bad meal anywhere. Two of our favorite websites are visitamishcountry.com and oacountry.com. 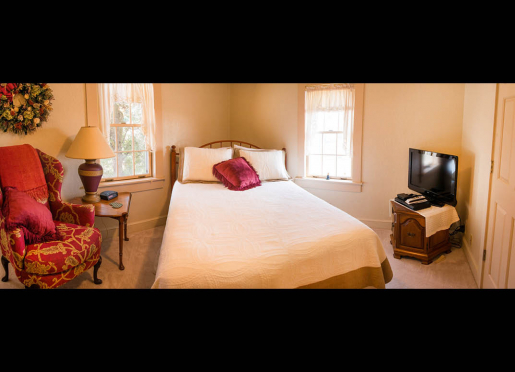 We have three units - two regular rooms with queen size double pillow top mattresses, pedestal sinks, and flat screen TVs. Our White Quilt Jacuzzi Suite has a queen-sized double pillow top mattress, garden tub Jacuzzi, fireplace and large flat screen TV. Sorry, no, we do not accept pets. My wife and I would like to personally invite you to spend a weekend (or a week!) 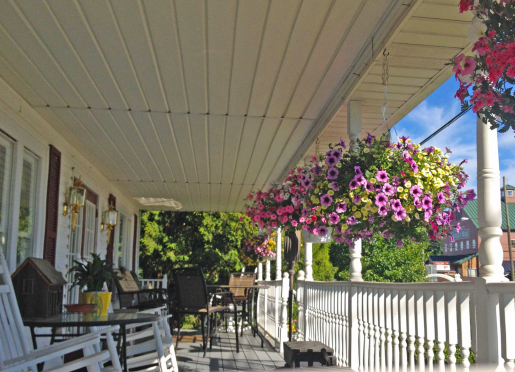 with us at our cozy bed & breakfast called, "A Day in the Country." Our facility is small (three units) and we enjoy getting to know our guests and making new friends. We try to make each room unique with little touches of decor to make it feel homey. We live on the premises, so we're available to help you with any request - from extra pillows to questions about where to eat or shop. Berlin has been our home for many years and we know all the nooks and crannies of the area. 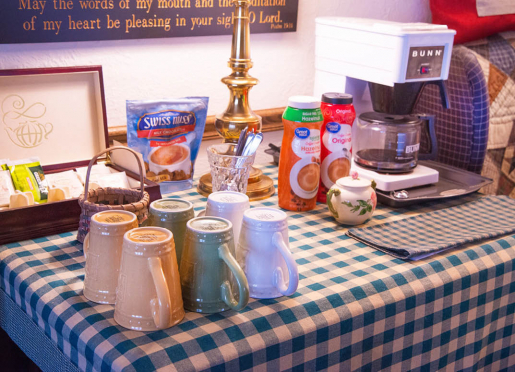 We like doing things the old-fashioned way, from cooking your homestyle hot breakfast to booking room reservations. To reserve a room with us, please call us at (888) 893-7017. We'd love to meet you!